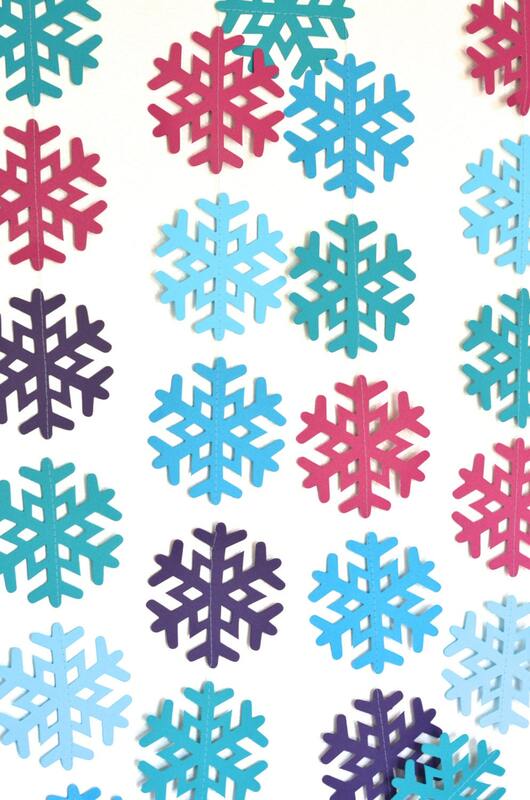 Featuring colors drawn from Princess Anna's dress, this jewel toned banner is the perfect touch for your Frozen party! 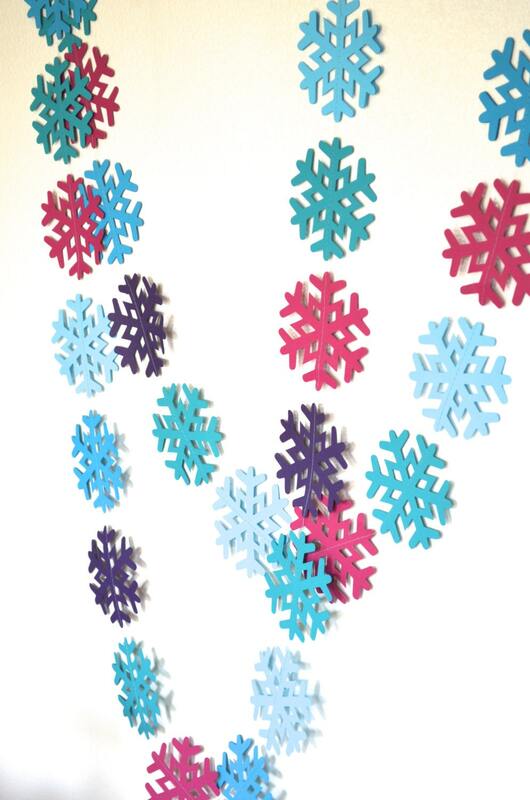 This snowy garland is made of paper snowflakes sewn together and would be lovely accenting a party, bedroom or nursery! 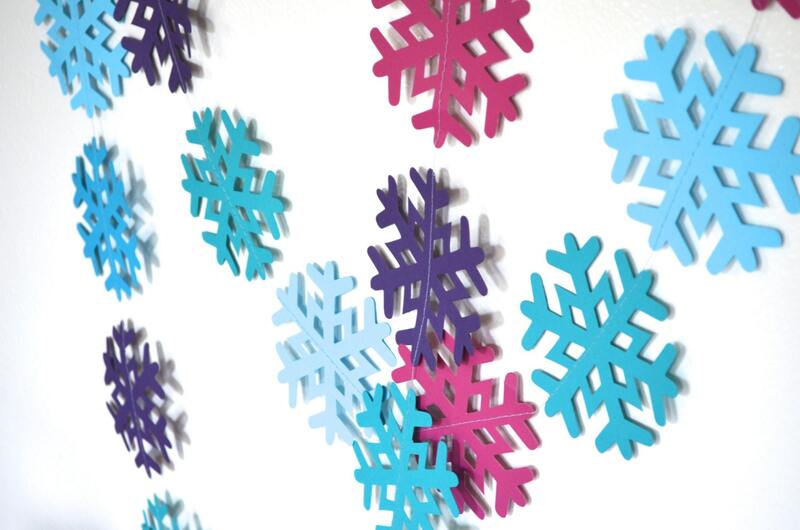 Made using extra large paper snowflakes that I hand punched from cardstock in shades of blue, aqua, fuchsia and purple, the garland is stitched together with blue thread into a piece of bunting that is just over 10 feet long. 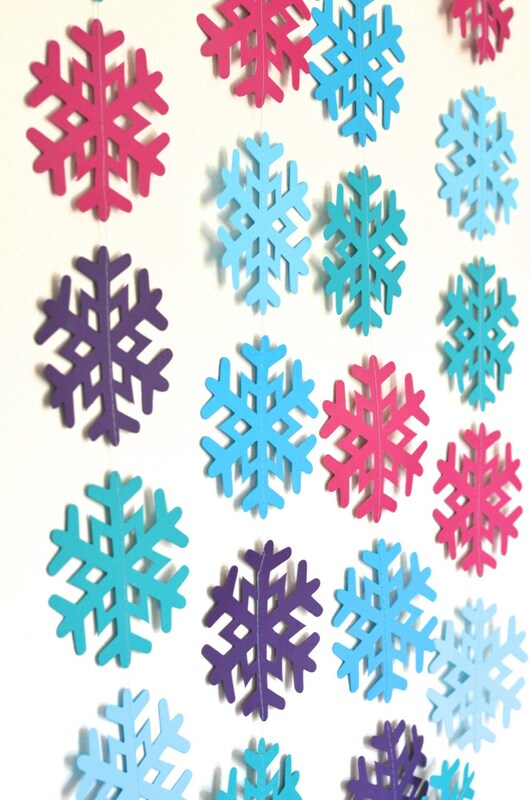 The snowflakes making up the garland are each about 4 1/2 inches across and there are loops of cream ribbon sewn into the ends to use for easy hanging. 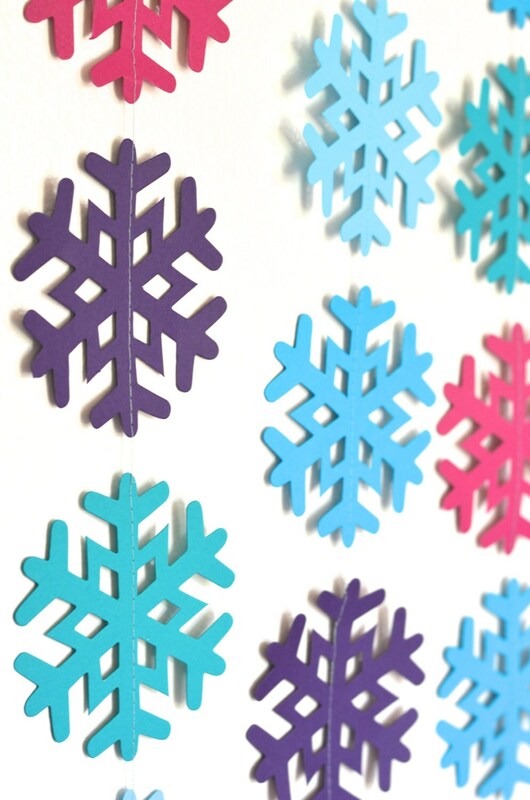 I was very pleased with the snowflake banner I used for the “Winter Wonderland” photo backdrop. Lighting is bad in my picture, but the garland was just as advertised! Added a nice whimsical touch to my twins 4th Frozen themed bday party! Thanks!! Quick shipping & very neat/secure packaging, which is really important to me with paper goods!